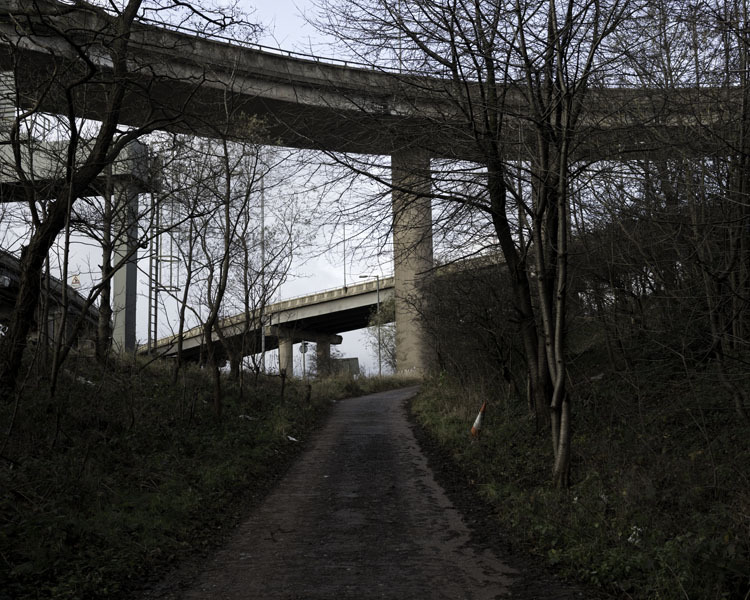 If you have ever driven through Birmingham, then chances are you’ve driven over the Gravelly Hill Interchange, or as it’s more commonly known, Spaghetti Junction. 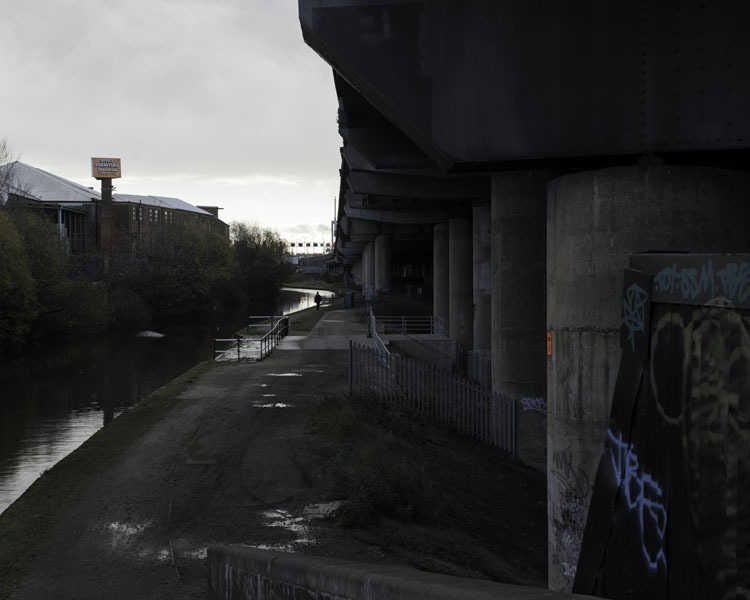 This is the nickname given to Birmingham’s busiest motorway junction, the massively intertwining crossroad that sits above three canals, two rivers and two railway lines. 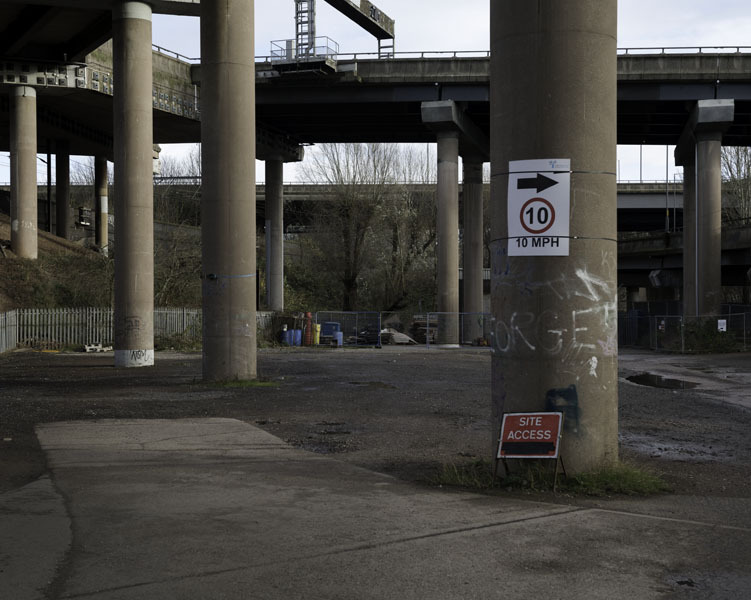 Located just north of the city centre, Spaghetti Junction is a hive of unrelenting motorised activity where every day of the year, you can find thousands of cars passing in and out of the city. Construction began in 1968 and the junction was eventually opened in 1972. The interchange now covers 30 acres, spans 5 different levels, serves 18 routes, has 2.5 miles of slip road and has 559 concrete columns that support the flyovers that pass over the canals below. The junction has undergone major repair work many times and seems to be in a continual state of re-construction. Whilst walking underneath the interchange, one can always see the tools and scaffolding of the crews that have the never-ending responsibility of maintaining it. 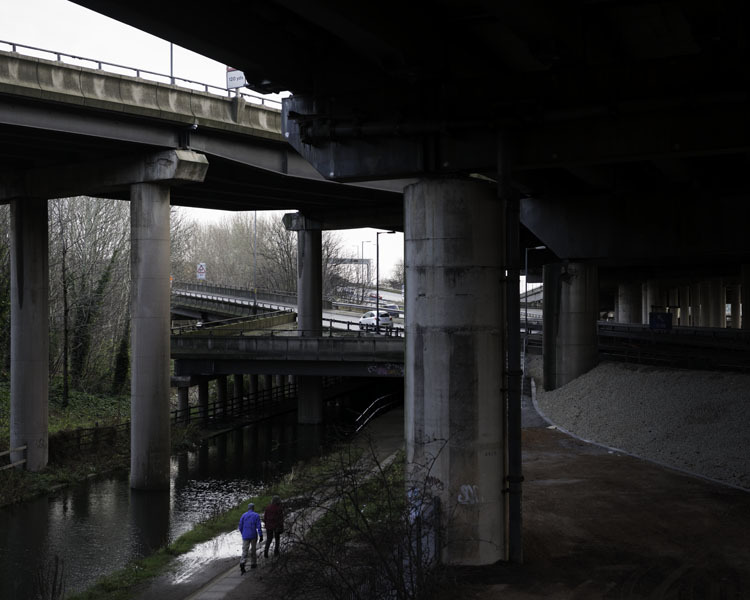 Due to its heavy traffic, the joints underneath the motorway are forever being weakened by the cars above. 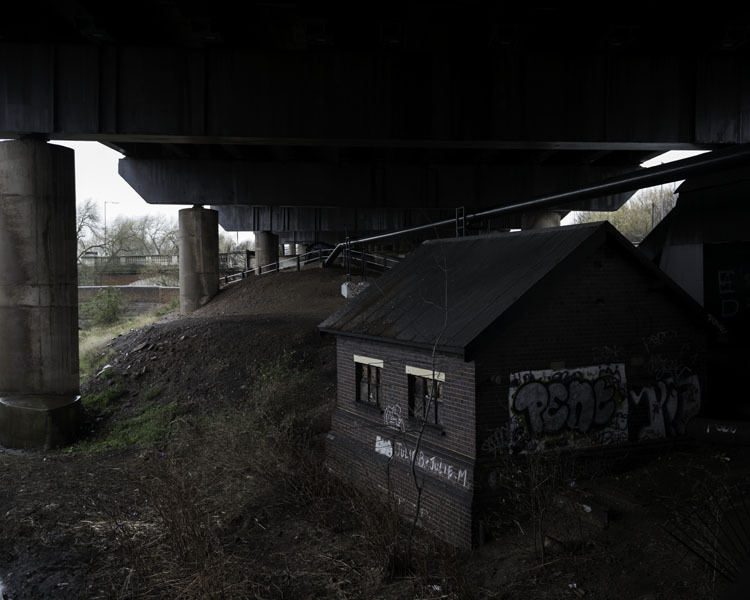 Nowhere else within the man made structures of Birmingham, is the inexorable process of decay and restoration more apparent. I grew up a minutes walk from the junction and many of my adolescent memories involve adventures nearby. My parents often speak of a time before it was built, when our house was surrounded by green fields. Apparently it was once a quiet and pleasant area, free from cars, but I’ve always known the motorway to be there and it became the landscape of my childhood. 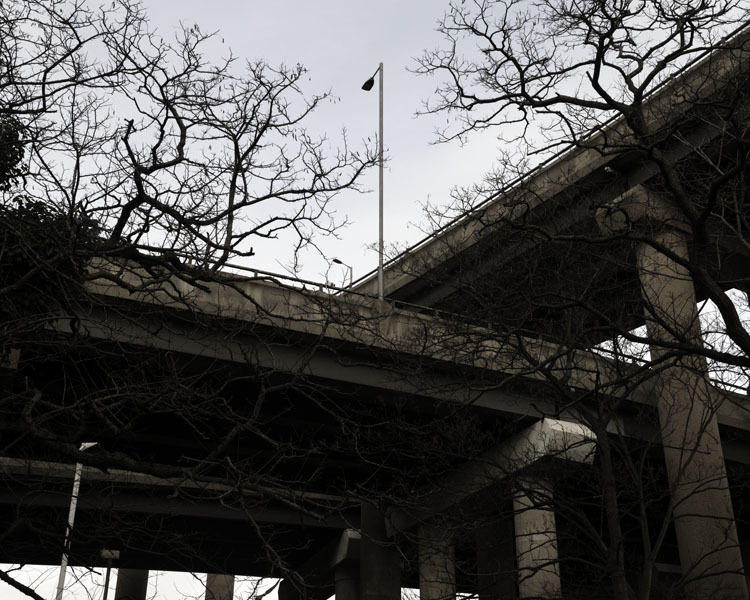 I spent my earlier years getting up to all kinds of mischief underneath it, such as joy riding motorbikes and climbing up the scaffolding into the underside of the motorway. These are the kind of adventures one has when they grow up next to a motorway, no idyllic moments of running through poppy fields or swimming in rivers. Perhaps my most potent memory was with my first girlfriend. We asked each other to share a special place, she chose the lake near to her home, I chose Spaghetti Junction (I’m such a romantic). 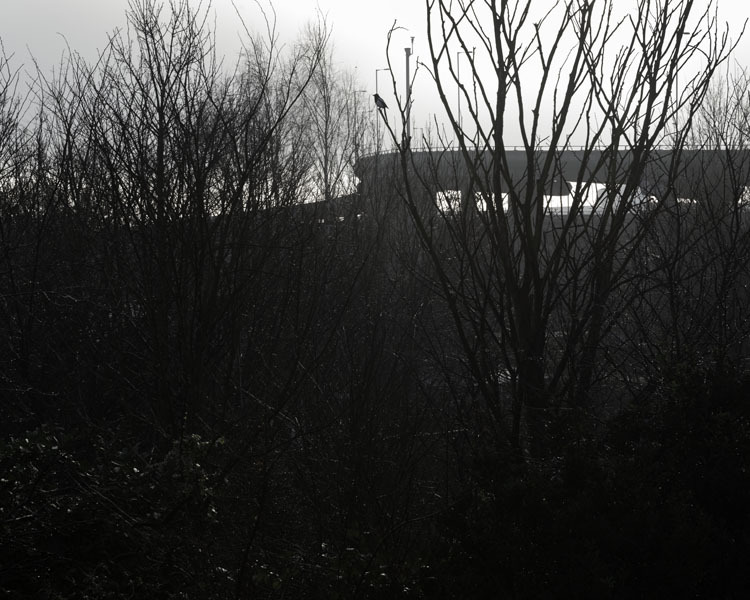 I remember climbing up together and sitting directly underneath the motorway, around 25 meters above ground. We just sat there listening to the thousands of cars coming and going above our head, life passing us by as we hid underneath, surrounded by thousands of motorists yet we were alone. 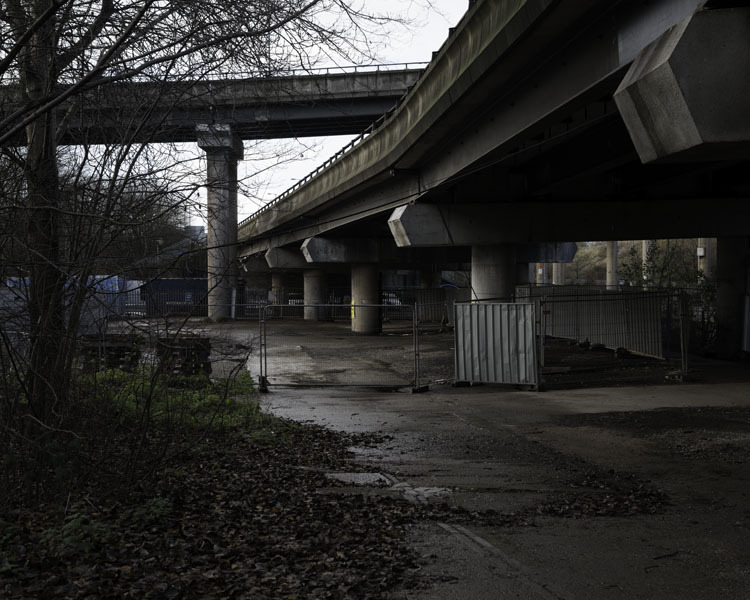 Walking underneath the motorway always brings back these childhood memories, and I find it interesting to consider how particular memories are only ever evoked when I am there. For me it still remains a special place, where cars, canal boats, concrete and water collide in the centre of England. So next time you drive through Birmingham, gazing out of your car window, give a brief thought to what exists below. 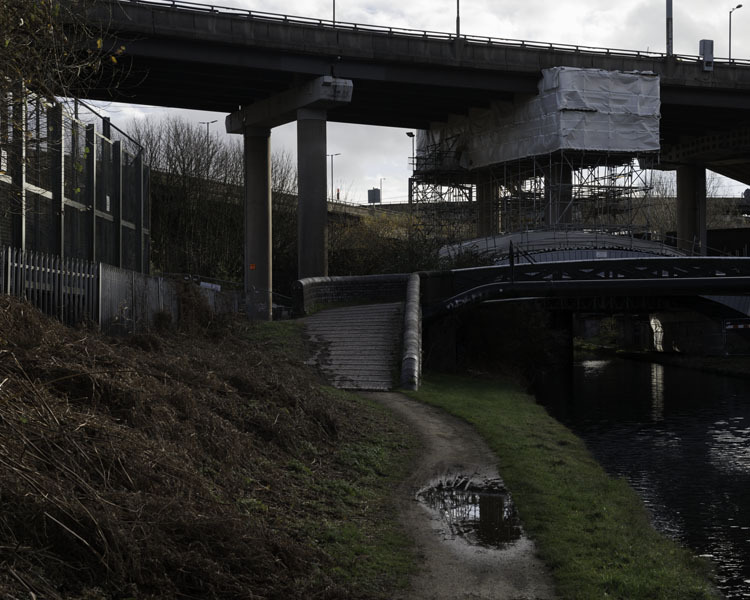 It may appear to be just another junction on the M6, but for the joggers, dog owners, fishermen and canal walkers, it’s a mini motorway world, where they can walk, often without passing another soul. Here they can feel at one with the chaotic comings and goings of motorway life, yet remain firmly attached to the familiarity of the ground beneath their feet. The MAP6 photography collective is currently working on a number of new ventures. Firstly, we are in the process of updating our website which you can visit here. We are also working on a group publication which will bring together the work we collectively made in Moscow during 2013. This will be available soon and hopefully coincide with a number of exhibitions that shall be opening in the coming months. As well as getting the Moscow Project into print and onto the wall, we are also organising a new project in an undisclosed location. There will be more news about this soon, but for now you can keep up to date with what we are doing by liking our facebook page here. It looks like 2014 will be a busy year for MAP6, its exciting.